© 2005 - Mangano Publishing Inc. The latest data as recorded by the American Heart Association shows an alarming rate of high cholesterol levels among Americans. Any total cholesterol level above 200 milligrams per deciliter of blood (written mg/dL) is considered borderline high. Extremely high total cholesterol is any reading above 240 mg/dL and one that puts you at risk for heart disease, liver failure, and other health problems. Here is some information that may help you better understand this epidemic of American health. 107 million, or 1 in 5 adults, has cholesterol levels above 200 mg/dL. Almost 38 million more have levels above 240 mg/dL. More women over age 45 have high cholesterol than men. Almost 30 million prescriptions are written each year for cholesterol lowering drugs, accounting for $20 billion in annual sales for the pharmaceutical industry. In 2001, the statin drug, Baycol used to lower cholesterol was taken off the market due to toxic side effects. Most drugs prescribed today to lower cholesterol are statin drugs. Asians on average have an LDL cholesterol level of less than 95 because of their low fat diet. Anything under 100 for LDL cholesterol is considered good. Everyone above the age of 20 is advised to have their cholesterol checked at least once every 5 years, according to the National Cholesterol Education Program (NCEP). If you have a family history of high cholesterol or other risk factors, blood cholesterol should be checked even more often. It is possible to control cholesterol levels with diet and exercise, by maintaining a healthy weight, and by consuming the right mix of vitamins and minerals. 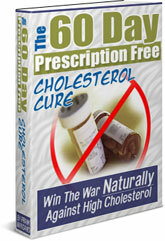 To learn how to lower cholesterol naturally, get your copy of The 60 Day Prescription Free Cholesterol Cure.